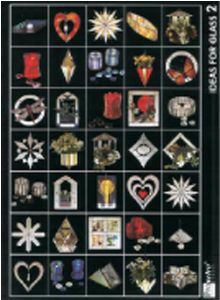 90159-Ideas For Glass 2 Bk. ---SALE! 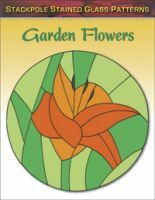 This new book of stained glass patterns that was published in Germany contains a wide variety of patterns for stained glass lamps, vases, napkin & candle holders, panels, mobiles and more. 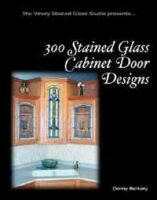 All projects are shown in color pictures and include material lists and some construction tips.